William G. Roe and Sons, a fourth-generation family run operation grows several varieties of fresh fruit, including oranges, tangerines, mandarins, pummelos and blueberries. Established in 1927, they are true pioneers in this industry and command the best containers to deliver quality products. 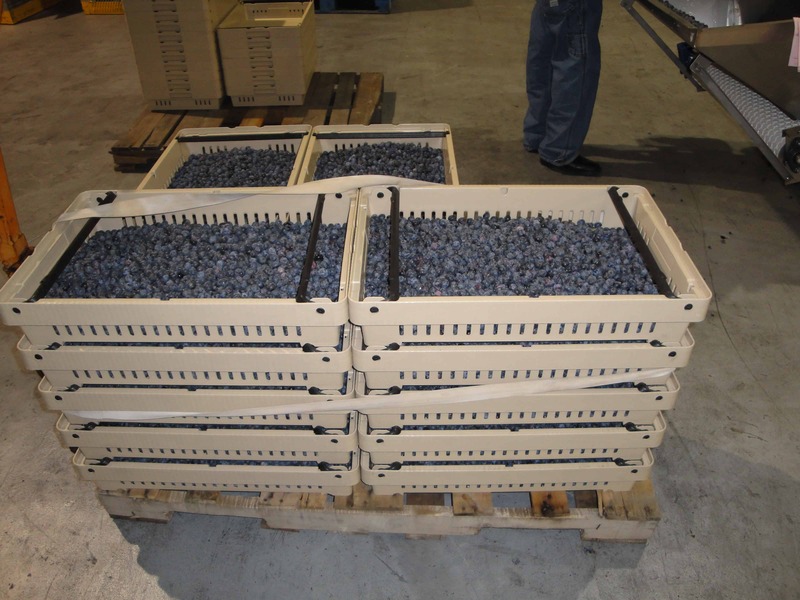 Based out of Winter Haven Florida, this business has used the InterCrate 4.5 containers for their blueberry operation for the last four years. Cooling field berries takes only 10 minutes compared to 30 minutes with previous totes. After we wash and sanitize our totes, we dry them in front of fans. Because of the ventilation design of the InterCrate 4.5 we can dry a complete pallet in 2 hours as compared to 4 hours with old containers. The InterCrate 4.5 is much more efficient from a handling standpoint. Due to the shallowness of the container, only 4.5 inches high, we get twice as many containers on a trip from the field as before, and it’s a stable load because of the way they securely stack. Our operation is more efficient in the pack room due to ease of handling with the InterCrate 4.5. We put 80 to 100 empties on a pallet compared to 40 with our previous totes. This is a substantial savings in transportation cost. The InterCrate 4.5 is an efficient container providing cooling, washing and drying time savings. More product is moved in a single trip for smooth daily operations and to meet production timelines. Its’ unique nesting system during return transportation saves space and logistics costs.